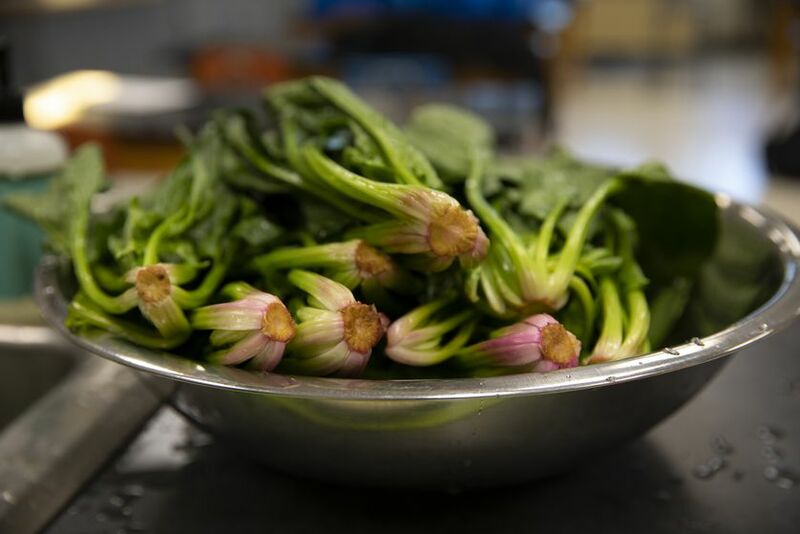 What can become of a small table of fresh ingredients in an hour-long after-school class? What are the differences between blanching and boiling? Better yet, how can sharing knowledge about pickling, canning, roasting, broth-making, and dumpling folding provide meaningful experiences to the next generation? Over the last decade, The Sylvia Center has answered these questions by working with young people across Columbia County to inspire healthy habits through cooking together. The Sylvia Center provides a space for teens to process their classroom learning, develop skills applicable to their daily lives, and improve their self-confidence through a variety of after-school programs. 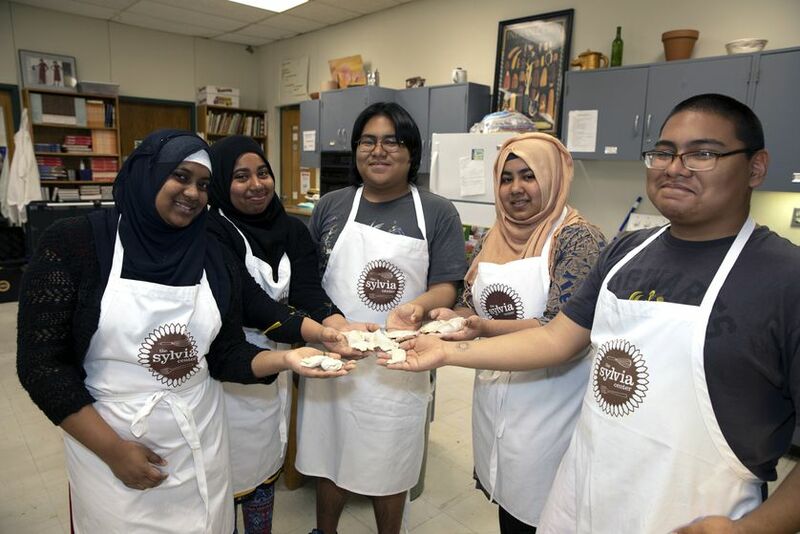 At Hudson High School, teens collaborate in the kitchen and learn from trained community chefs, who guide them through the basics of cooking. Lessons learned, such as sautéing, roasting, dicing, and mincing only scratch the surface in terms of what the world of cooking can provide, inspiring a deeper understanding about what is possible after high school. Jenn So, program director for The Sylvia Center at Katchkie Farm, teaches teens at Hudson High School how to prepare meals from scratch, and encourages the mastery of tangible skills that are easily adopted into the students’ daily lives. The recipes are simple and are often taken home to share with family and friends. Teens within the program are also given a CSA-style bag of ingredients from Field Goods to take home and cook with their families. 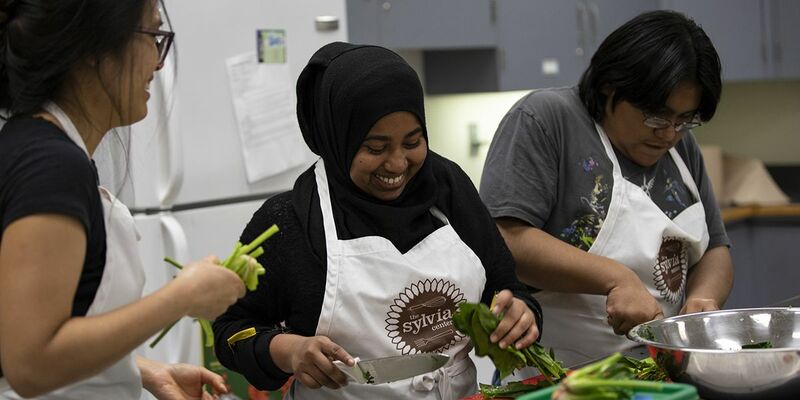 Many teens leave their Sylvia Center program asking Jenn So for more — more recipes, more opportunities to cook together, and more pathways toward institutional change in their own community. “It is critical that these types of programs can grow across the Hudson Valley,” says Jennifer John, executive director of The Sylvia Center. Most recently, program staff from The Sylvia Center have been working with partners such as Perfect Ten Hudson and Germantown School District, as well as Hudson High School, to create and offer programing. And in their decade-long commitment to students, The Sylvia Center has impacted schools across Columbia County and in all five boroughs of New York City — serving more than 23,000 since 2007. 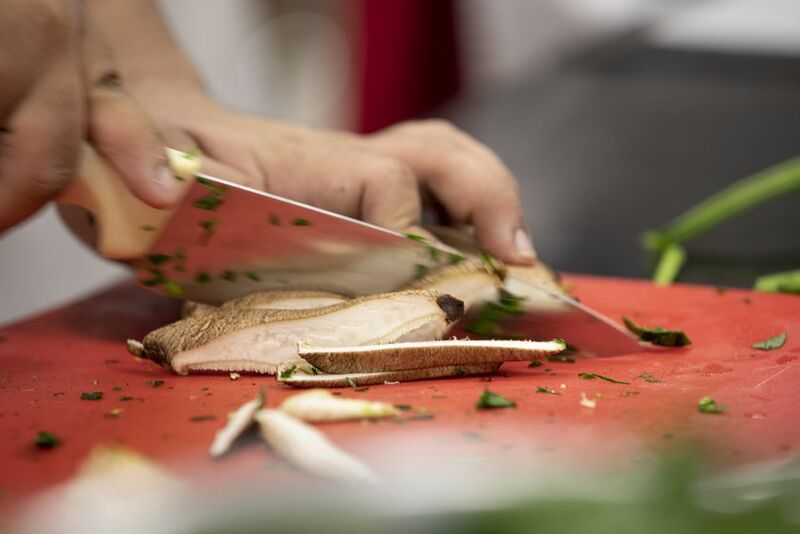 Through hands-on learning, these students learn to try new foods, increase knowledge of nutrition and culinary skills and — most importantly — build confidence in preparing and eating healthy meals. This story originally appeared in the June 2018 print edition of Edible Hudson Valley. 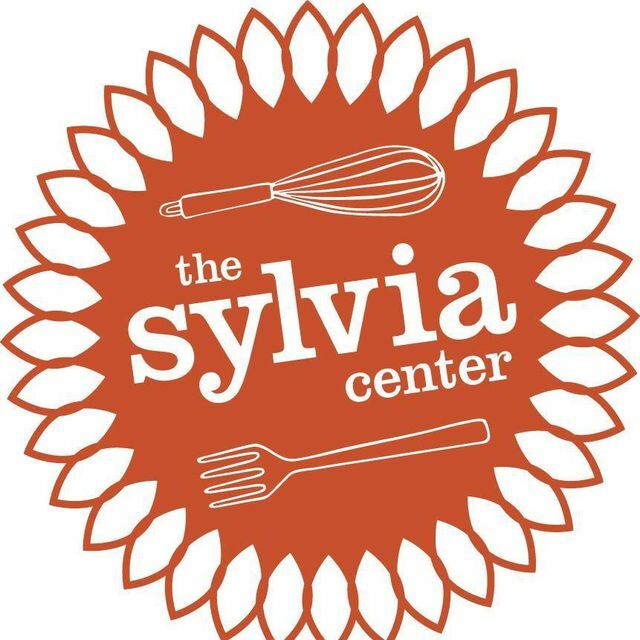 The Sylvia Center (TSC) is a garden-to-table program that inspires young people to discover good nutrition through thoughtful, direct experiences with seasonal fruits and vegetables, on the farm and in the kitchen.